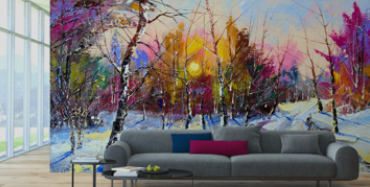 WALLTAT customers love sharing their wall decals creations with us and we in turn love sharing them with you. Our latest photos were submitted by Missy Stewart, a Tahoe based interior designer that was looking to complete the headboard of a bedroom. In her design Missy uses two Floral Wall Decals, in two orientations (WALLTAT allows for the mirror image of most designs) to create a symmetric and custom look. 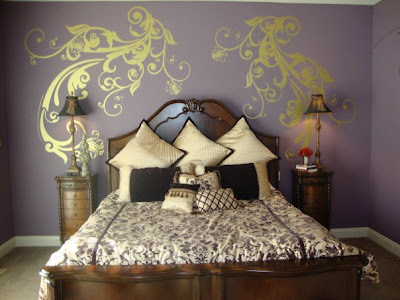 I love the gold color selection as it creates a dramatic effect for an elegant feel that is consistent with the rest of her room. Thank you Missy for sharing your project with us!